Just across Kebler Pass sits the West Elk coal mine, the focus of both a working group and a lawsuit, each seeking a way to stop the enormous volume of methane gas venting day and night from the mine. Methane gas is 30 to 36 times as potent as carbon dioxide for trapping heat in the atmosphere; thus methane is a major global warming contributor. Yet, methane gas from coal mines is not currently regulated by either federal or state agencies. The West Elk Mine is Colorado’s number one emitter of methane, leaking enough each year to equal the pollution produced from 90,000 cars, according to the Environmental Protection Agency. The North Fork Coal Mine Methane Working Group (NFCMMWG) is looking into all feasible alternatives to capture the methane and put it to use, while the lawsuit, filed in December by local environmental group High Country Conservation Advocates (HCCA), seeks to stop the mine’s expansion into the surrounding Sunset Roadless Area. Both the working group and the lawsuit began in December 2017 when the Bureau of Land Management (BLM) and the U.S. Forest Service granted permission for the West Elk Mine, owned by Arch Coal Company, to expand coal mining operations into the Sunset Roadless Area. The mining company also asked for and received a royalty rate reduction to 5 percent from 8 percent from the BLM because, it said, the coal to be mined was especially difficult to obtain. Before submitting letters of support for the royalty rate reduction, the Colorado governor’s office made it clear that the mine operators needed to pursue methane capture. The West Elk Mine is on federal land, so its royalties are split between the federal treasury and the state. According to a letter from the governor’s office, “This support is contingent on Arch Coal’s stated commitment … to explore and develop a methane capture strategy at the mine, as well as to explore opportunities to put the methane to beneficial use.” And so the coal mine methane capture working group was born. Gunnison County commissioner John Messner continues to work toward methane capture solutions with the NFCMMWG, a group comprised of representatives from the mine, county agencies, environmental groups, electric utility groups, the Forest Service, the Bureau of Land Management, state agencies and a representative from Governor Hickenlooper’s office. The group has been meeting monthly since late last year to discuss potential uses for methane capture. They have heard experts in the industry discuss everything from using the methane as a feedstock to make plastic or fertilizer, piping it as a natural gas source, burning it to generate electric power, or using it as a heat source to fire the silt from Paonia Reservoir into bricks. Messner says the upcoming meetings will showcase professionals from the electric utility and renewable energy fields to discuss the feasibility of using the methane as an electric power source. 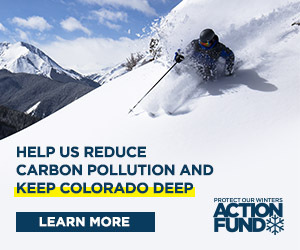 Nearby, the Aspen Ski Company completed construction on a $5.5 million electric power plant that captures and burns the waste methane venting from the now-defunct Elk Creek Mine outside of Somerset, Colo. The plant generates enough electricity to power the four ski areas in and around Aspen and is the nation’s first methane gas-fired power plant of its size and scale. At one time, HCCA was a part of the coal mine methane capture working group but due to disagreements over the group’s mission statement, HCCA is no longer a charter member. It continues to attend meetings but can no longer vote on resolutions facing the group. When the BLM and Forest Service approved the mine expansion, HCCA filed a motion for a temporary restraining order to prevent the company from cutting roads into the roadless area, but that restraining order was denied. Now HCCA’s lawsuit to further curtail the pending mine expansion is in the courts and should be fully briefed by the end of April with a court hearing to follow. The next meeting of working group will be held April 11 at 1 p.m. in Hotchkiss, Colo. and is open to the public.